Stuart Vevers revives an iconic silhouette. 54 years after ‘sportswear pioneer’ Bonnie Cashin introduced the leather tote bag at Coach, current creative director Stuart Vevers has revived the silhouette with an additional sense of fun. Initially inspired by Madison Avenue shopping bags – something to do with the colossal volume surpassing traditional handbag measurements presumably – the new design boasts those same practical credentials with a minimalist sensibility, owing to its clean lines. 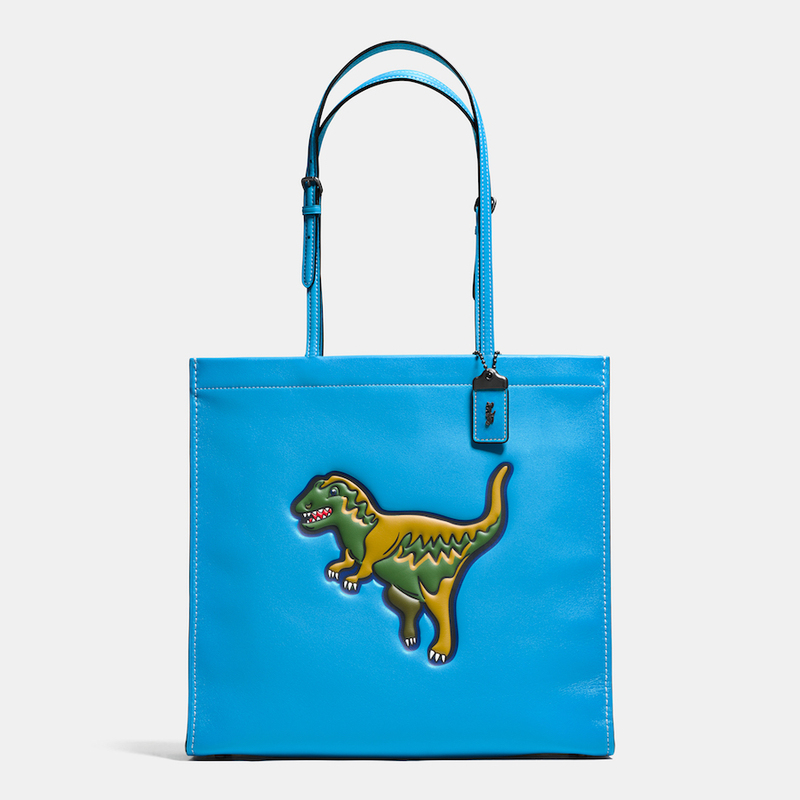 Part of the SS16 ‘Jurassic Jungle’ collection (of which the T-Rex is a key feature, natch), the Skinny Tote is a paid up member of the bags-we’d-like-to-own club; a colourful, Toy Story vibing object of desire for a time when sticking one’s head in the sand won't silence the surrounding negativity (British politics we're looking at you).